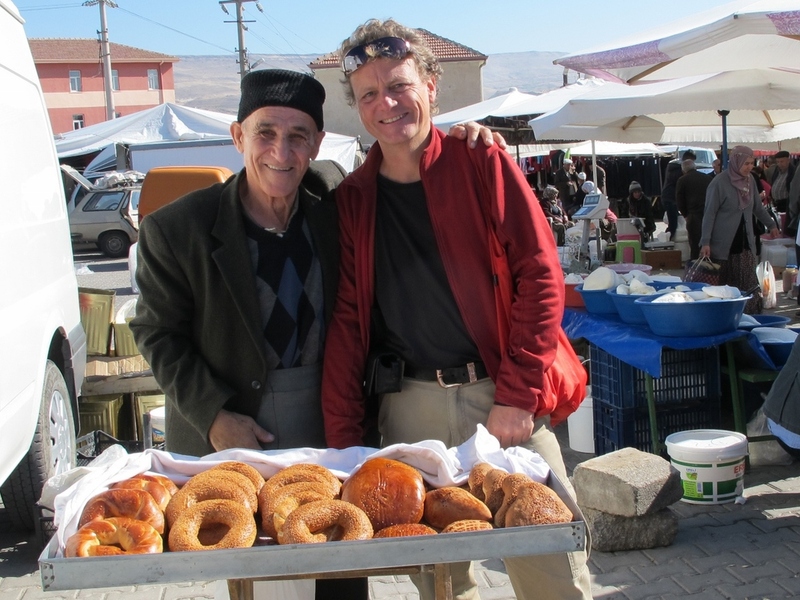 We used a beautiful Saturday morning to visit the farmers market in Ürgüp, Central Anatolia. While we were waiting for the local bus in the warm sun of a beautiful late autumn morning a man in his seventies approached us . He was curious to know where we are from and when I told him “Germany” he started smiling. He told me that he had worked in Wolfsburg / Germany and that he loved the time he lived there. There were more men his age who approached me with the same question, the same warm smile and a similar story throughout the day. That reminded me that Germany had a program for migrant workers from Turkey in the early 60s many of them coming from Anatolia. A little research on the internet showed that Germany had created a migrant worker program with Italy and Greece in the late 50s as result of the “Wirtschaftswunder” (economic miracle). Turkey pressured Germany to be part of the program to manage their own economic problems. Germany was concerned about the cultural differences and didn’t feel the need for more foreign labor. However, the United States “encouraged” Germany to make the deal because they were interested in Turkey as a strong ally in a strategic location during the cold war. After the agreement was signed Turkish citizen became the larges group of migrant workers in Germany. The German census of 2011 shows that almost 19% of the German population has a migration background (immigrated or has parents who immigrated after 1955) ; 20% of them are Turkish. Back to the farmers market in Ürgüp where an ex migration worker offered us some of the grapes he just bought, a cheese seller didn’t charge us because the amount of cheese we asked for wasn’t worth it and a baking goods seller wanted to have a picture taken with me.